I had an affair… but it’s not what you think. Sometimes, when I go to Italy I can’t help but feel like I’m cheating on New York. It sounds dramatic, but just hear me out. I remember when I first fell in love with this city. I was a freshman in college. It was terrifying, exhilarating, all-consuming, the way that new love tends to be. I never wanted to be anywhere else. In my eyes, New York City could do no wrong. Since then, we’ve gone through our ups and downs and lately, New York and I… we fight a lot. This city has electrified me with the highest high, and battered me down to the lowest low I’ve ever felt. It neglects me, I’m constantly fighting for its attention, it never tells me I’m beautiful, and I’m not even sure it misses me when I’m gone. Each day is a battle, and I’m always the only one trying to make it work. I swear, I’m not one of those girls that are in denial about being in an unhealthy relationship. I fully acknowledge that living in New York City can be exhausting and even emotionally draining. Sometimes, we just need to go on a break. That’s when I run – no, fly – to Italy. Over the past few years I’ve returned to Italy pretty frequently. Last summer I spent three unforgettable weeks in Sicily with my cousins, and the year before that I adventured my way through Tuscany. This year I was in Puglia. Bari, to be exact, for my best friend’s wedding. 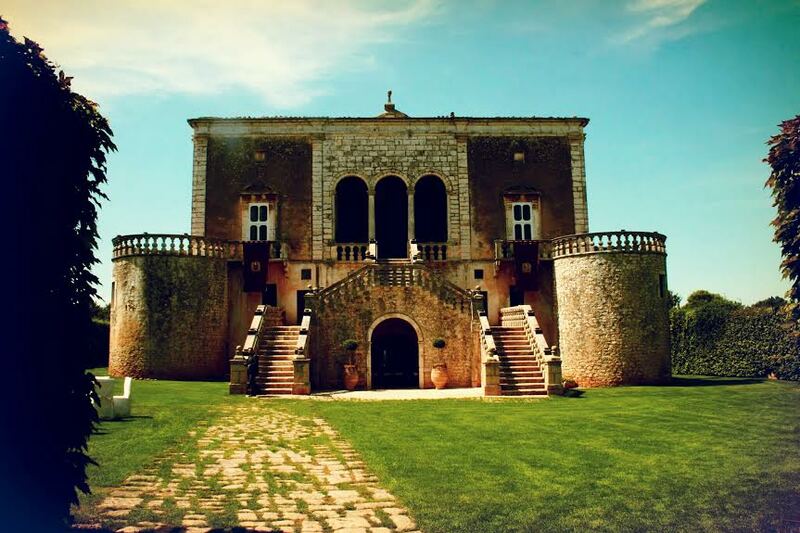 Donatella and Vitopier were married in Italy on August 26th at Castello Marchione, a 13th-century medieval castle located on a hilltop in the small town of Conversano. The entire day could have been ripped from the pages of a fairytale. I wasn’t the queen that day, but I felt like a member of the royal court. Memories of the event come to me in hazy flashes – and no, it’s not the effects of too much champagne. It’s difficult to put into words, but there was the vague sense that love was literally in the air. I remember pieces of it: a brilliant sun, champagne glasses clinking, laughter, guests happily swaying to the jazz band’s smooth rendition of Nat King Cole’s “L-O-V-E”, a seven– yes, seven– course meal, one dish more delicious than the other, waiters wearing white gloves elegantly pouring my wine, smiles everywhere. It was euphoric. Ok let’s be real, every day I ever spend in Italy is euphoric. So much so that every time I’m there, I’m thwarted by the sensation that there’s been a huge mistake… Italy is where I am meant to be. To be clear, I’m under no grand illusions that living in Italy would be like anything out of Under the Tuscan Sun. Coming from a fast-paced New York mindset, there are elements of Italian life that absolutely infuriate me… like the fact that everyone knows your business, or the way pranzo (lunch) must take up two hours of your day, every day, and if you plan to meet someone at 9:00, it really means 11:00, and it really drives me nuts. Lines do not exist – not at the post office, not at the bus stop. The towns that during the summer are vibrant and full of life, in the winter months are lifeless, cold. Opportunity is scarce. I see my cousins, most of whom have graduated with degrees in medicine and law, struggle so much to find a job that they’re only hope is to move out of the country. In Italy, one’s chance of finding a job doesn’t depend on your qualifications, or your willingness to work for it, but on who you know. So why am I so drawn to country that is so notoriously unorganized, and politically and financially unstable? Well, I hate to sound ambiguous, but there’s something about being there that just clicks. The sound of the Italian language alone is soothing to me, and there are few things as freeing as riding through the streets of Florence on the back of a vespa with your arms raised, the wind blowing between your fingers. I love the warmth and the friendliness of the people and I can’t help but think that Italians have a better understanding of what’s really important in life: time spent with family, good food and wine, romance, memories made with friends. After all, in the end, aren’t these the things that really matter? As the dreaded day of departure inevitably approaches I find myself wishing more and more that I didn’t have to leave. I board the plane and I can instantly sense the change in my mood. I’m bitter, defensive. The sound of English being spoken makes me cringe– you ever notice how New Yorkers talk like they’re waiting for an excuse to pummel each other? The whole flight home I try to hang on to the blissful memories of my visit. Like the time nine of us packed into a five person car on the way to the airport knowing that the chances of being pulled over by the carabinieri were slim to none. Or the night we stayed up until 4am waiting for the fish market to open so we could buy fresh (and by fresh I mean still moving) swordfish, octopus, shrimp, for dinner the next night. The free cappuccino the owner of the local coffee shop across the street offered me, just because it was Sunday. Or when the impossibly good-looking, impeccably well-dressed man driving a red Fiat stopped traffic to let me cross the street, making me feel like royalty. “Io sono un gentiluomo, ma gli altri forse no,” he said. Swoon. It’s like trying to remember a dream, with every mile my plane flies farther away from Italy, the more I feel those moments slip away, the more reality begins to set in. They say that distance makes the heart grow fonder, and maybe it’s true. In the words of Ayn Rand, “I would give the greatest sunset in the world for one sight of New York’s skyline. Particularly when one can’t see the details. Just the shapes. The shapes and the thought that made them. 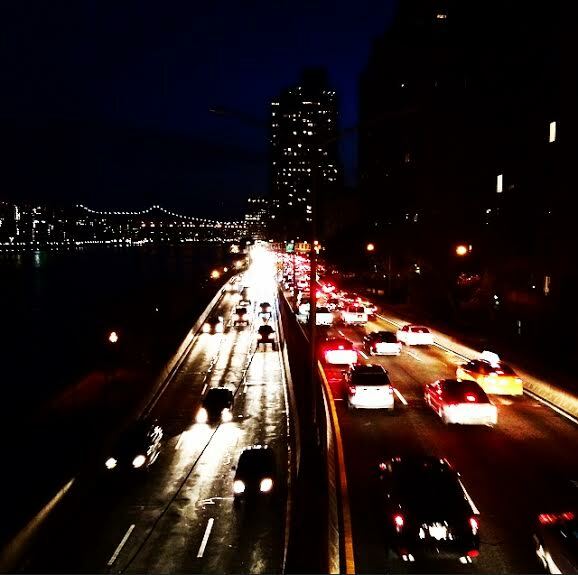 The sky over New York and the will of man made visible.” As I make my way back to New York City and drive up the FDR drive into the glistening skyline, the buildings sharply rising higher and higher above me, I can feel my heart start to beat a little bit faster. I can sense the chills running up my spine. I’m excited, nervous, biting my lip. It may not wrap it’s arms around me, caress my face, or soothe me, but in an instant New York City sets my heart on fire all over again. Yes, it’s true, this city wears me down. Sometimes, I swear I can feel it sucking the color out of my complexion, desaturating my skin tone so that it blends in with the grey shades of my surroundings. Just a few hours under Italy’s golden sun, or in the refreshing crystal blue waters of it’s oceans and the colors are fused back into me, radiating from my cheeks, eyes, smile. Italy pampers me with certain comforts that New York doesn’t offer… but it doesn’t challenge me. The reason for why I fell for this city in the first place is because I crave adventure and the uncertainty that comes with it. Because monotony would kill me. Because in the reflection of that unrivaled skyline I can see the best possible version of myself. This city shows me my greatest potential and it does it without sugarcoating the fact that achieving it will be anything but easy, and if I thought it would be easy, I wouldn’t be interested. Yes, it crushes me with disappointments in both my career and in love more often than I would like, but it only makes the victories, no matter how big or how small, that much sweeter. And when I do win, I stand a little taller, walk with my head raised a little higher. In those moments I can feel myself growing into the bold, independent, fearless woman I’ve always wanted to become. In those moments I know that New York City is my home and it is exactly where I am meant to be. Previous postMirror, Mirror On The… MET? I love it! You could not have described the two different worlds in a better way. I do not think anybody can…. Italy with the love, the food the culture, the history…. but at the same time New York… with it’s calleges and opportunities…. Great job!